Zhuhai Xunfeng Special Plastics Co Ltd., the latest member of the Wittenburg Group is now operating from our new plant and ready for the official grand opening on March 1st 2019. Zhuhai was one of the original Special Economic Zones established in the 1980s and is according to a report released in 2014 by the Chinese Academy of Social Sciences the most liveable city in China. The industrial zone where the new factory is built on stands for innovative, medical and sustainable industry and therefore matches the mission, vision and quality compounds we produce and believe in at Xunfeng and the Wittenburg Group. By bringing our new factory to this industrial zone Xunfeng wants to help improve residential, employees and daily life in our immediate vicinity and is committed to create a sustainable environment in the region. Our customers will be supported by a dedicated local Chinese speaking sales team. 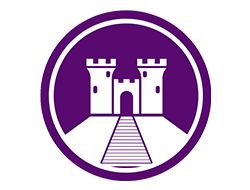 The intellectual property of Wittenburg Group and its customers are secured by local western management and protective infrastructure. 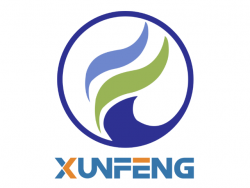 The Xunfeng facility uses proven international technology and quality systems to support the Asian market with high quality TPE and speciality engineering plastic products as used in medical devices and pharmaceutical packaging and also for products in direct contact with food or drinking water. Our engineering plastics are typically used in technically high performing polymer compounds for automotive, transportation, aviation, electrical / electronic and industrial product applications. Our main reason to build the plant is to supply the existing customer base with proven and reliable products in China. The new Xunfeng plant has several production lines with different capabilities, a fully equipped quality control lab and importantly uses high quality and fully qualified raw material. The Wittenburg Group is active in the design and production of soft TPE materials and specialty engineering plastic compounds. For over 100 years, Wittenburg has built a strong international reputation when it comes to technical achievements, innovation, quality and reliability. The company group is based on a strong Research & Development ethos which allows delivering technical solutions for highly regulated markets. Now with 3 production sites, Wittenburg Group has the flexibility to support customers worldwide with dedicated compounds in batch sizes from 10 kg to full container loads, based on over 30 base resins. Promolding & The Wittenburg Group organize breakfast meeting! There is a medical version of almost all plastic materials, but where do you have to pay attention to when choosing materials in order to meet the strictest quality standards? To get the answer to this question we would like to invite you for the breakfast session that Promolding organizes on Thursday 21 February 2019 in cooperation with The Wittenburg Group. In this session we will discuss together with the material specialists from Promolding and The Wittenburg Group what you should look out for when selecting materials for products in the medical sector. Which regulations and European quality standards have to be met? What material modifications are possible? Wittenburg BV is a qualified medical compounder who develops and produces soft thermoplastic elastomers and special technical plastics according to ISO 13485. We have the flexibility in our organization to support our customers with special products for smaller and specialist applications. Promolding BV specializes in the design, engineering and injection molding of high-tech plastic products and in particular in the medical sector. The strength of Promolding is that it is a knowledge center, developer and producer in one. There is a limited number of places available, register quickly. Wittenburg Group will be present at Pharmapack 2019 exhibition. We will be happy to welcome you from February 6 & 7. Wittenburg Group will be present at Compamed 2018 exhibition. We will be happy to welcome you from November 12 to 15. See you then in Düsseldorf ! The United Kingdom is due to leave the EU on March 29th 2019. In case no withdrawal agreement can be negotiated there will be no contract regulating the trade relationship between the UK and EU. As a consequence, custom controls at the border between the UK and EU will be installed, which most probably will slow down the import/export process and most probably will increase costs. Even if a trade agreement is negotiated this could change the current trade relationship and lead to similar effects. 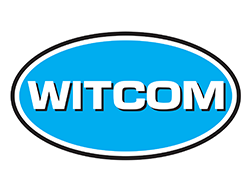 A presentation will be given by WITCOM Engineering Plastics on “Optimising compound performance – Adding other key properties to the electrical conductivity”. Formulating electrically conductive compounds requires experience and know-how. The job even looks more difficult when the base polymer is an engineering plastic, and when the conductivity should come together with additional technical requirements. As an example, some applications require formulations to be electrically conductive, high impact resistant, flame retardant and colourable. Our broad experience with the realisation of complex conductive compounds matching multiple requirements will be illustrated through applications and results. As a specialty engineering plastics compounder, we are keen to develop the adequate solution to your needs. We can help you whenever you need more than electrical conductivity. Come and meet with WITTENBURG and WITCOM Engineering Plastics representatives. We will provide you the solution to your needs, when polymers or more standard compounds cannot match the end-use requirements for your injection moulded or extruded parts. Our expertise is the development and production of customised plastics, engineering plastics and thermoplastic elastomer compounds for various end markets: automotive, industrial, HVAC, mining, transportation, E&E, medical devices, food processing, appliances, pharmaceutical packaging, cosmetics. We compound all plastics, from polyolefins up to PEEK (PE, PA, PC, PBT, POM, PPS, TPE-S, ABS, PLA…). We can give an unlimited number of functionalities to the plastics including electrical conductivity (ESD, ATEX, EMI shielding), high temperature resistance, lubrication, flame retardancy, high impact, drinking water contact, medical compliance, special colouration, thermal conductivity, barrier properties… or any combined properties. A presentation will be given by WITCOM Engineering Plastics on “Exploring the potential of aramid fibres in PA compounds”. Aramid fibres are one type of additive that we use to design lubricating compounds, when extreme high wear resistance to metal parts is required. Other lubricating additives will be described and multiple examples and results detailed. As a specialty engineering plastics compounder, we are keen to develop the adequate solution to your needs. Witcom Engineering plastics, part of the Wittenburg Group, recently took on the next step towards 4-star certification under the BREEAM environmental certification systems. This is in line with the vision of Witcom and the Wittenburg Group to operate even more sustainable for a better future. BREEAM (Building Research Establishment Environmental Assessment Method), first published by the Building Research Establishment (BRE) in 1990, is the world’s longest established method of assessing, rating, and certifying the sustainability of buildings. More than 250,000 buildings have been BREEAM-certified and over a million are registered for certification – in more than 50 countries worldwide. During expansion of the Witcom factory in Etten-Leur back in 2016, first steps were being made to achieve the highest possible BREEAM certification. With the recent activation of the PV-panels, the highest rating of four stars is now in sight for full certification early 2019. Wittenburg Group extents its product portfolio with CAWITON® BIO range. We are now proud to announce our Xunfeng company is now ISO 9001: 2008 certified. Witcom Engineering Plastics B.V. under construction to be ready for future.